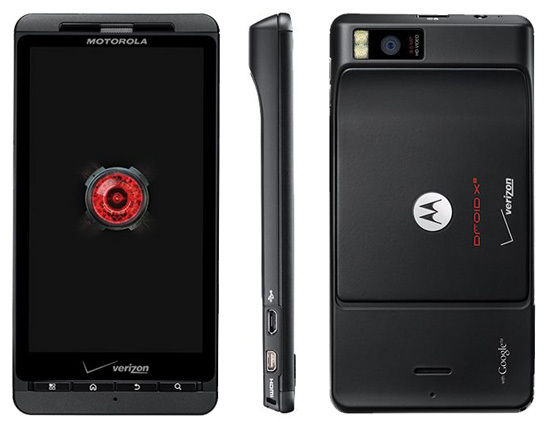 The Motorola Droid X2 is an update to Verizon's popular Droid X, which came out last summer. The Droid X2 offers a higher resolution 4.3-inch qHD screen and more power in the form of a dual-core processor, but is otherwise largely the same as the previous generation. Unfortunately, that also means no 4G and the same poor ergonomics. There new Droid X2 is essentially identical in size and shape to the old Droid X. And for me, that's not a good thing. The phone feels uncomfortably large in my hand both because of its size (5.02" x 2.58" x .39") and the squared-off corners. The Droid X2 is not heavy for its size at 5.47 ounces, but there is a large hump at the top that causes the phone to feel top-heavy when held upright, though offers a solid grip when held in landscape (further supporting its gamer-focused credentials). The Droid X2 sports a 4.3-inch "qHD" (560x960) display that provides an excellent picture, with great contrast and plenty of detail. It doesn't quite match the Super AMOLED display of the Samsung Droid Charge for color vibrancy or off-axis viewing, but I find the Droid X2's color accuracy to be better. Sound from the built-in speaker was loud and clear. The Droid X2 also has a 1080p HDMI out and DLNA so you can watch your content on your big screen. If there's one big area of disappointment with the Droid X2, it's here. Verizon's 4G LTE network is so darn good, it's just a crying shame the Droid X2 is only 3G. In testing around New York City, I averaged download speeds of around 1.3Mbps and upload speed around 900Kbps. Compared with the 17 - 20 Mbps download speeds and 5 - 7 Mbps upload speed I received with the Droid Charge, the Droid X2 is a real slowpoke. Network speed aside, the Droid X2 rendered web pages quickly and with the latest Flash, was a pleasure to use for browsing. The Droid X2 can act as a mobile hotspot for up to five devices. The Motorola Droid X2 has an 8MP rear-facing camera and dual-LED flash which takes pretty good photos. Colors are accurate and the sensor was able to capture a surprising amount of detail. There was some haziness at times and colors don't pop the way they do on the Samsung Droid Charge, but the images were noting to sneeze at. Photo controls are very basic, with no options for white balance correction or touch-to-focus. Controls exposure, scene modes, and picture modes are scattered across three different menu. The Droid X2 does not have a front-facing camera. The 720p video recording was very poor. Videos looked okay when they were actually being recorded, but there were so many instances of pauses, stutters and distortion that I would not want to rely on the Droid X2 for recording anything on importance. You can see an example in the video below. The Droid X2 runs Android 2.2 and general navigation is, not surprisingly, very good. There's Swype built-in for quick entry and a solid multi-touch keyboard, as well. The Droid X2 uses physical navigation keys along the bottom. for Menu, Home, Back and Search. In general, I prefer physical keys because I can navigate by touch. But the keys on the Droid X2 are very narrow and hard to press—forcing me to focus on my pressing skills way more than should be required. Bloatware seems to be less prominent than on prior Verizon phones and, thankfully, programs you don't want can now easily be uninstalled. Thank you, Verizon! The Droid X2 comes with 8GB of onboard storage and an 8GB microSD card pre-installed (expandable to 32GB). Battery life is on the better end of smartphones I've tested. It will get you through the day and into the next on light usage. Though if you're powering up that CPU and display for games, getting you through the morning will be more realistic. The Motorola Droid X2 is available for $199.99 with a new, two-year customer agreement from VerizonWireless. But AmazonWireless is offering substantial discounts of only $119.99 for existing customers who want to extend their contracts and $59.99 for new Verizon customers. The Motorola Droid X2 is not a big step up from the Droid X. Sure it has a faster processor and higher resolution display, but it's mostly gamers who will appreciate the difference. I would lump media junkies into that group as well, if the Droid X2 were 4G—but it isn't. And that's a major disappointment given how good Verizon's 4G LTE network is. Beyond the specs, I'm not enamored with the Droid X2's ergonomics, either. It is bulky to hold and the top bump throws off the center of gravity to the point where it's in constant danger of flipping out of your hand. Given all that, it's hard to recommend unless you're a gamer. Most users would be better off with the 4G Samsung Droid Charge for $100 more or the HTC Incredible 2 for $50 less.